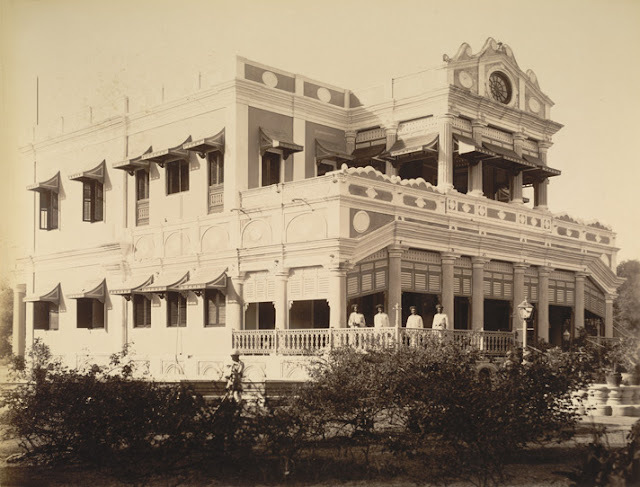 Pratap Vilas Palace, now known as ‘The National Academy of Indian Railways’ or ‘Bharatiya Rail Rashtriya Akademy’ (in Hindi), and was earlier known as Railway Staff College. 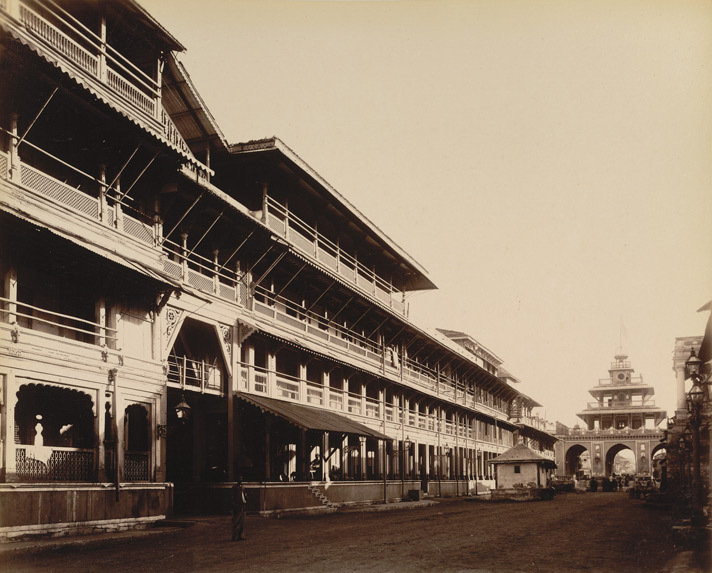 The Palace, then also was known as Lal Baug Palace, as of Lal Baug (Garden) nearby. It was named after the last ruler of Baroda State, Pratapsinh Rao Gaekwad. 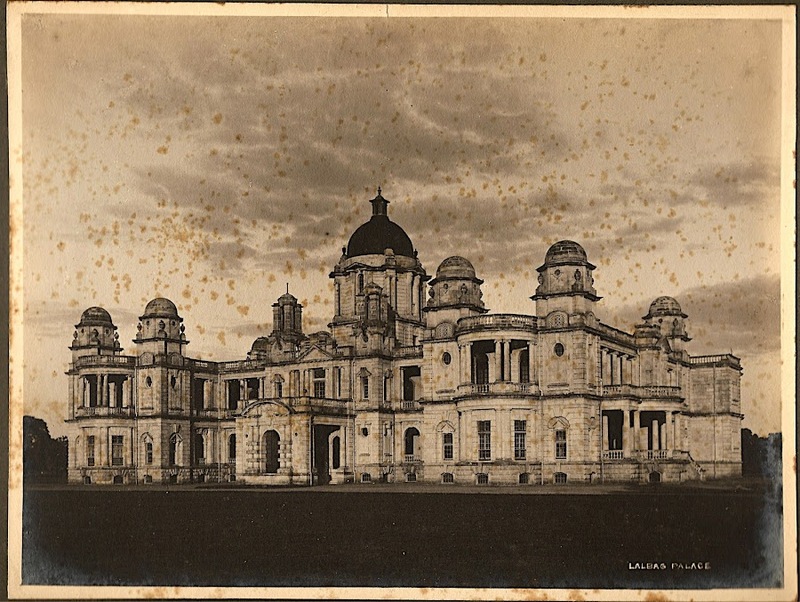 It’s construction started on 15 February 1908 & was completed on 30 July 1914, which was then furnished by 1918. It was designed by Charles F. Stevens, son of F.W. Stevens, a British Architect who designed famous Victoria Terminus of Bombay. * Year 1908 is when last ruler of Baroda State, Pratapsinghrao was born and his father Fatehsingrao died. Pratap Vilas Palace is built at centre of 55 acres land, with a huge gardens & many different types of trees around. The palace was also known as Prince’s Palace. Pratapsinghrao was 13th Maharaja of Baroda State and was married to Maharani Shrimant Akhand Soubhgyawati Shantadevi Saheb. Their son Shrimant Maharaja Fatehsighrao II Gaekwad was born in this Palace on 2nd April 1930. This Palace is designed in Renaissance architecture. The entrance is adorned by exquisite carvings and the palace is noted for its architectural grandeur highlighted with columns and arches. Carvings of creepers, flowers, leaves, birds and animals on the columns make the palace lively. It has columns and arches drawn from South India, Central India, North India and Islamic tradition. The palace now houses the Railway Staff College. This is the main training ground of Indian Railways. In fact, a mini railway model can be seen inside the palace. The Bombay Province had taken over these premises on lease on 31st January 1949 and given to Indian Railways for its use. Subsequently, the Railways purchased this building on 6th January 1964 at value of Rs 24,38,271.